Here’s my “Freaky Friday Fashion” pic of the week, a fox frock. It looks like the fantastic Mr. Fox is on his way to super stardom. 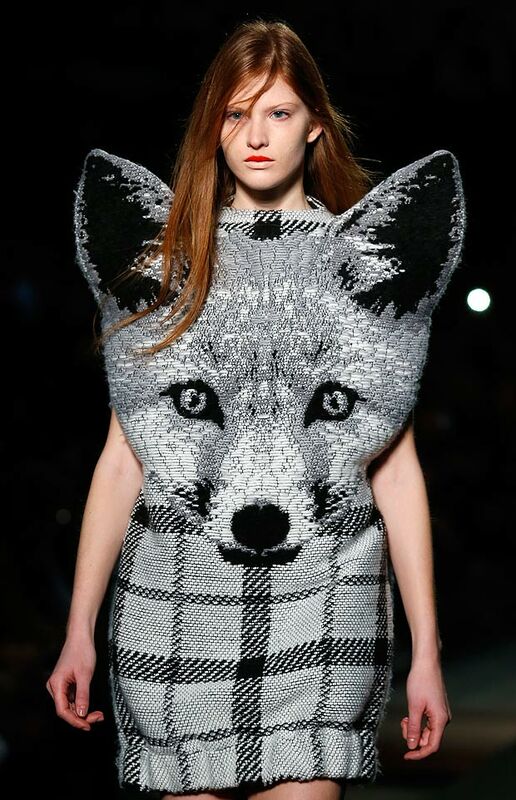 We’ve seen a lot of fox images recently in the fashion industry, but this design surpasses them all. A few days ago he introduced me to the “What Does the Fox Say?” video on Youtube. Now, I want to do a photo shoot with all of my creative soul mates in the woods, and I can’t stop singing the song.